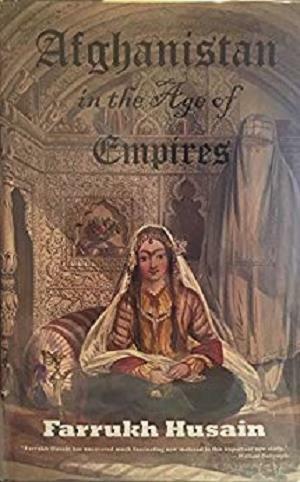 Afghanistan in the Age of Empires: the Great Game for South and Central Asia | Free eBooks Download - EBOOKEE! Posted on 2018-08-25, by perica123. This book has a primary focus on the struggle for power of Shah Shuja Ul Mulk paving the way for the first Afghan war. The book charts the rise and fall of Durrani rule in Afghanistan and what is now Pakistan. The Durrani empire had been the second largest Eighteenth Century Muslim empire after the Ottomans. The immediate beneficiary of Durrani decline were the Sikhs who grabbed most of the Punjab, the Peshawar valley and Kashmir. Over the course of the latter half of the nineteenth century Afghanistan had shrunk to its present modern boundaries. What is missing in many narratives is the Afghan perspective on events and so I cite the statements of Afghan participants as detailed by contemporary witnesses. Uniquely I highlight the contribution of Afghan women to the armed struggle against those that sought to invade Afghan lands. I evaluate the mistreatment of Afghan women by foreign invaders, which has led to armed Afghan uprisings throughout Afghan history. The role Afghan Women played in combat as well as in poetry to inspire their men to fight is illustrated. For e x a mple, though the battle of Maiwand during the Second Anglo-Afghan war is well known for the charge by Malalai on horseback, no contemporary author has written about the first such charge by a burka clad woman against the British, during May 1842, to avenge her husband's death at the head of thousands of Afghans, which took place not far from Maiwand in Zemindawar, Helmand. Afghan women have been recorded as fighting in battles from the fall of Saddozai ruled city of Multan, Punjab fighting the Sikhs (Chapter 1) and at the fall of Ghazni in 1839 (Chapter 5). The character of Sir William Hay Macnaghten is crucial to an understanding of the war. Macnaghten was a judge and I e x a mine Macnaghten's behaviour in the light of his former judicial role. A Judge should be someone who can be held to his word. This was not the case with Macnaghten. After the victorious entry into Kandahar, Macnaghten obtained a new treaty with Shuja allowing for a British resident at Kabul and 50 British officers to train a new army. Additionally at Ghazni in 1839, Nawab Jubbar Khan had offered a viable power sharing compromise with Dost Mahomed Khan as Shuja's Wazir, but Macnaghten rejected this. Macnaghten should have known about the merits of an amicable solution rather than pursuing the thorny path of adversarial conflict with unknown outcomes. Furthermore Macnagthen failed to adhere to the tripartite agreement terms that precluded contact between the British-Indian forces and Afghan civilians without Shuja's consent. When Shuja objected to fraternisation between Afghan women and the British soldiers, Shuja was foolishly ignored. Thereafter when the Kabul uprising occurred Macnagthen failed to adhere to his promises made to the Afghan resistance leaders and instead tried to make a more beneficial deal with Mohammed Akbar Khan. It was these decisions taken by Macnaghten that paved the way for war and disaster for British forces. Chapter 1 covers the rise of the Sikhs under Ranjit Singh who gobbled up the former Durrani domains in the Punjab and details the plight of Shah Shuja as he escapes from Ranjit Singh. My ancestor was the custodian of the Koh-i-noor for Shah Shuja and the circumstances of the loss of this diamond to Runjeet Singh are detailed. Chapter 2 further lifts the veil on the sexual exploitation of Afghan women belonging to Shuja's household by British officers in Ludhiana, which was a trend that continued with the later British occupation of Kabul. The Punjab Archives at Lahore include documents discussing the elopment of a Durrani princess with a British officer. Mullah Shakoor provides a detailed statement about this incident recording that "Our reputation and honor are in your keeping. If you take suitable notice of the present affair it will of course be an intimidation to others. If not our residence here will be extremely difficult. No comments for "Afghanistan in the Age of Empires: the Great Game for South and Central Asia".